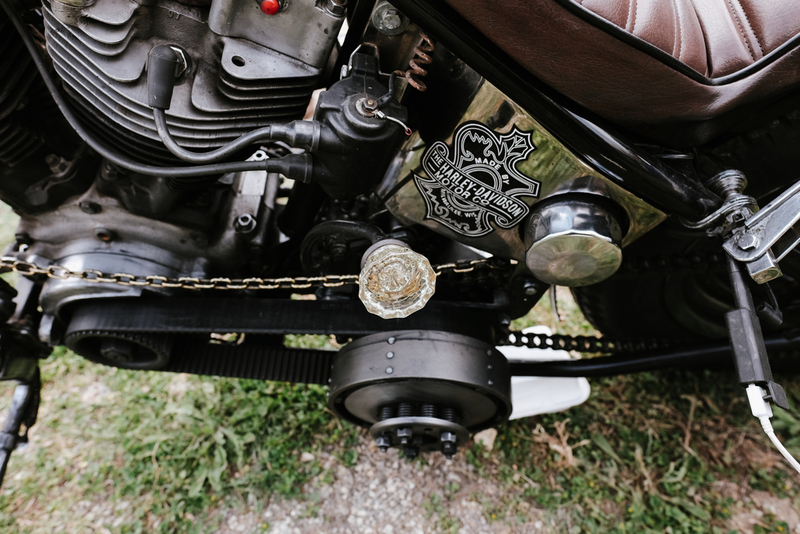 Last weekend I rode down with a good friend of mine to the Giddy Up Vintage Chopper Show in New Braunfels. 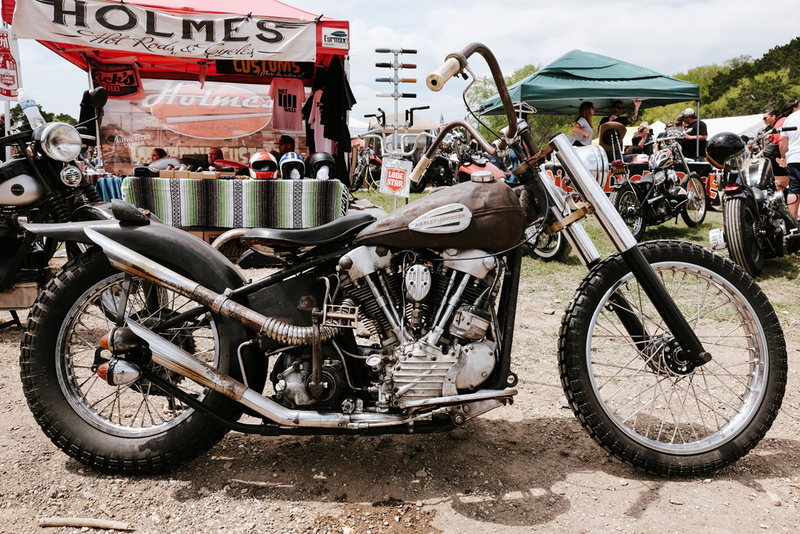 I love attending vintage bike shows and was glad we had some nice weather for a ride down to this one. While I'm not much for choppers myself, I enjoy seeing what people come up with on these garage customs. This was a huge gathering of bikes and bikers, much larger than I anticipated. It was more of a rally than a bike show. Finding a spot to park our motorcycles was a challenge and we ended up parking off the side of the road that winds past the River Road Ice House where the event was held. The crowd was thicker than I'm comfortable in and that made it challenging to get photos of tightly packed bikes. I didn't take near as many photos as I normally do at bike shows. 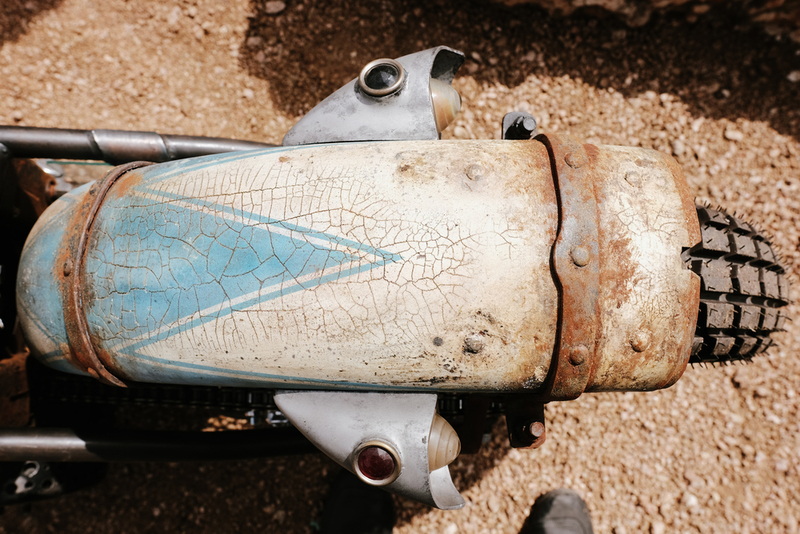 Still though, I came away with some shots of a few bikes and details that interested me. Since I had a hockey game to shoot that night I couldn't stay long so that cut into my photography time as well. Here are a few of the bikes that caught my eye. Most of these weren't in the actual show. They were either brought my vendors or other attendees. 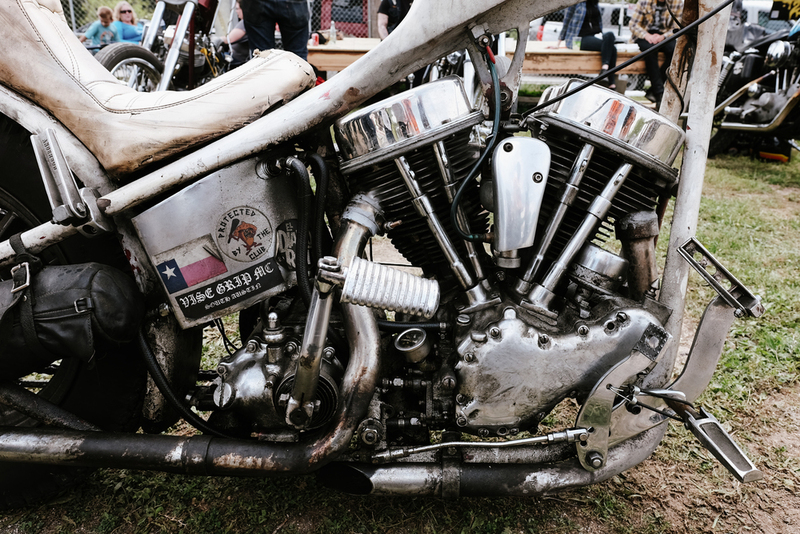 Getting shots of entire bikes in the small show area was nearly impossible due to cramped space and lots of people. I'm always looking for little details on custom bikes - the extra touches that you find on close inspection and make it truly unique riding machine. When it comes to custom bikes I'm not much for polished chrome. 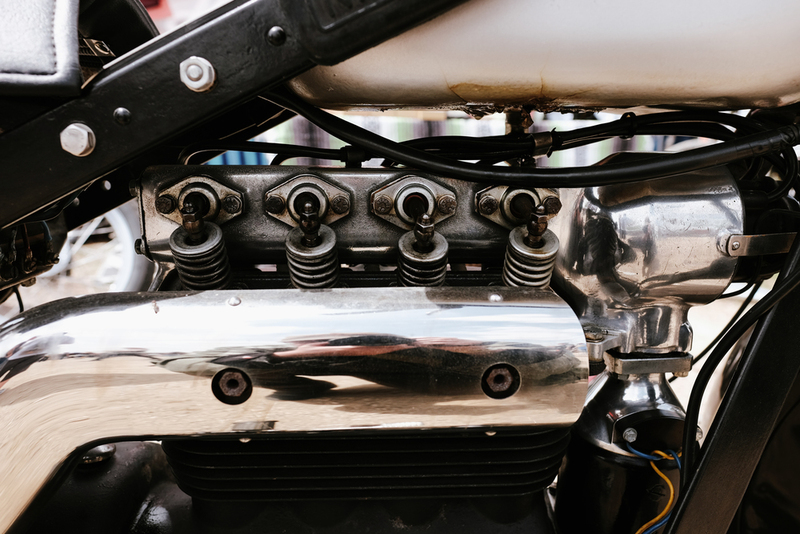 The gritty textures and details of oil dripping engines from decades past are much more interesting. Rat bikes with lots of rust and rough edges are much more fun to check out than glossy paint and chrome bling. There was a lot to see at Giddy Up and I wished I'd had more time to walk through all the parked bikes outside the main event area. I know there were some gems out there. While I may have more skills in photography than working with mechanical things, shows like this sure make me want to try my hand with a set of wrenches and old iron horse in need of some rejuvenation. Maybe some day. That's all for now. Until next time, peace, love, and choppers.